Are you looking to reduce the amount of heat escaping from your premises and cut the cost of rising heating bills? We have designed the Eco-Strip, the first of its kind in Automated PVC Strip Curtains. 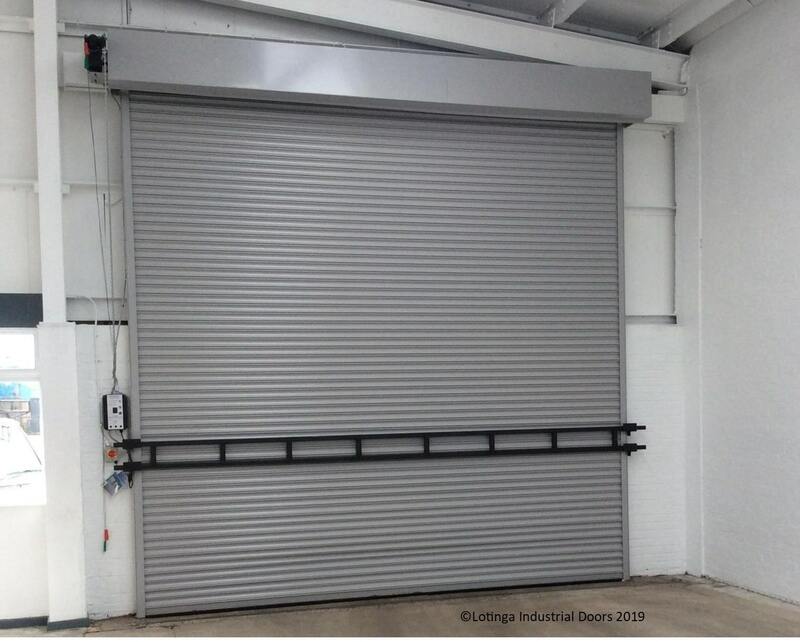 This combines a PVC Strip curtain with High Speed Activation but at half the cost of a traditional High Speed Door. Covering Kent, London, Sussex and Surrey, Lotinga strive to provide you with the most professional advice so you can make the best choice for your opening. 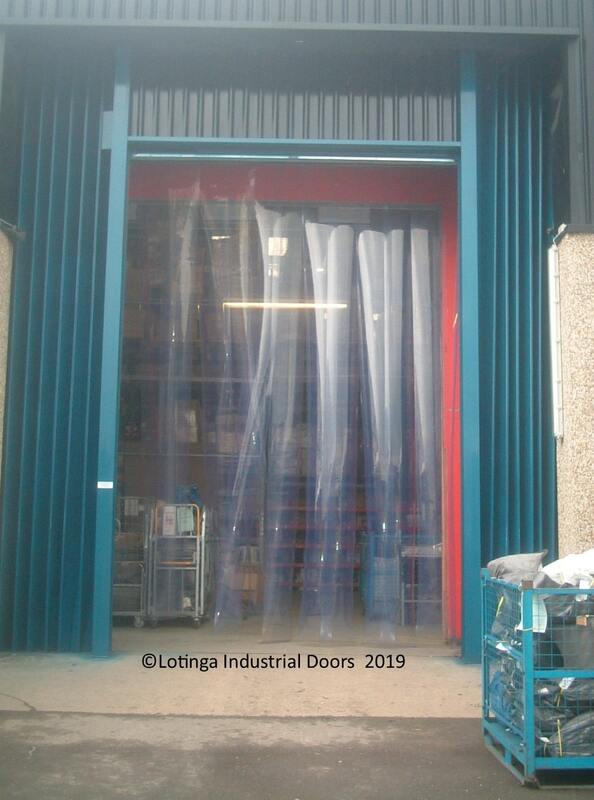 PVC Strip Curtains are effective for reducing noise levels and heat loss. 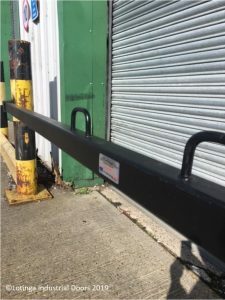 They also help prevent the passage of birds and insects into your premises, but allow easy access for pedestrians and vehicles. Perforated strips can be supplied to increase air flow and sliding curtains are available. 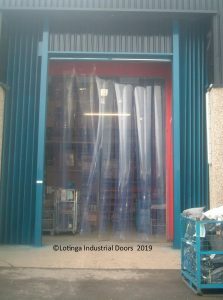 These doors are an alternative to PVC Strip Curtains. The doors are made of either rubber or PVC panels with clear PVC sections and are very durable. They are self closing ensuring minimal heat loss whilst allowing easy access for both vehicles and pedestrians. 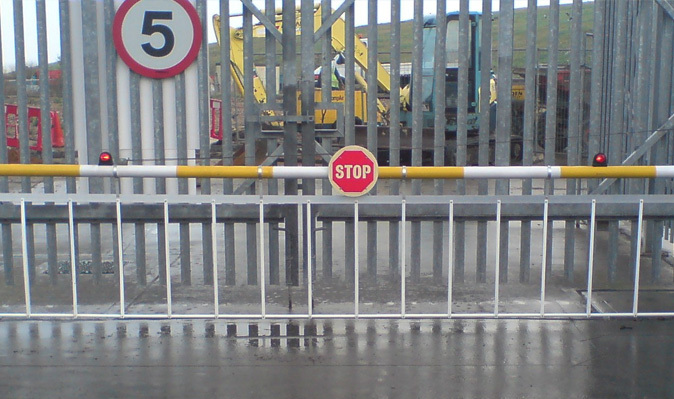 Automatic and Manual Vehicle Control Barriers. Various access control options and barrier types available. Static Bollards help to keep your door or building protected from accident vehicle damage. 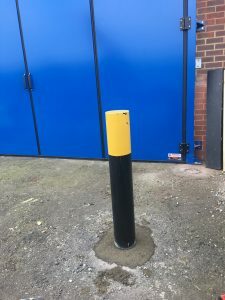 Retractable Bollards provide the same level of protection as Static ones with the exception that as they are removable you can have them installed in-front of the door as Ram Raid Protection. A removable barrier for the protection of Ram Raids. 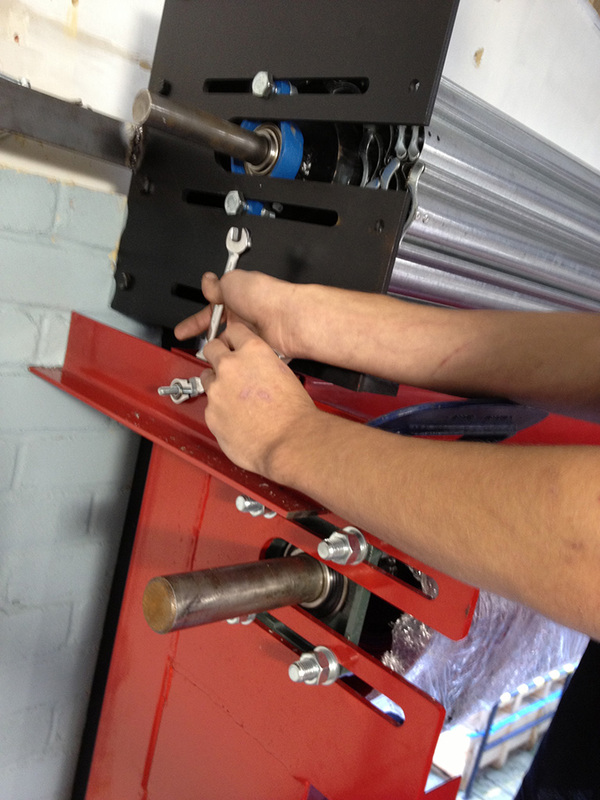 This locked in with the use of pin locks and is removed by lifting off. 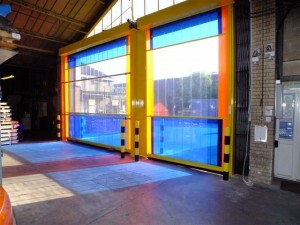 These barriers are designed by Lotinga Industrial Doors and our part of our Door Safety System Range. Also designed by Lotinga, this acts as a Ram Raid Barrier, in addition it can also be used as a storm bar. Helping to stop the door blowing in during storm conditions. This can be removed either by lifting off, or can be mounted in such a way as to swing out against a wall. This is suitable for internal as well as external installation. Lotinga offer a Service Agreement Faciltiy; this entitles the Customer to discounts off Servicing and Repairs. Or contact us a no-obligation Quotation instead.